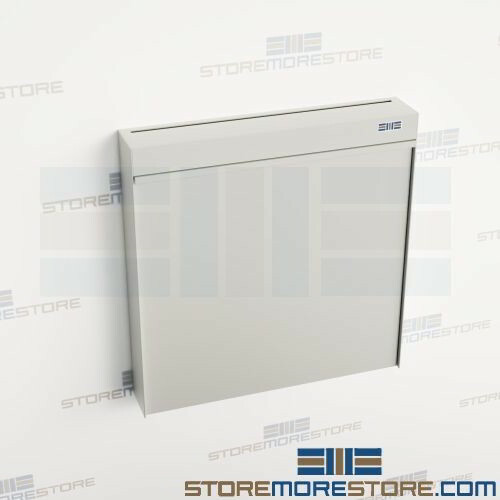 The Wall mounted dropboxes are mounted to the wall with a flip-down door designed to create extra work space in all types of facilities. 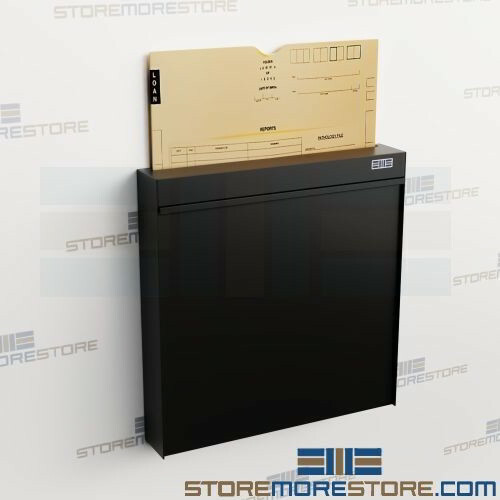 The flip-down door serves as a sturdy writing space for use in crowded areas as a communication hub, emergency first aid center, tool kit storage, or file storage, making them ideal for hospitals, police stations, government facilities, and more. 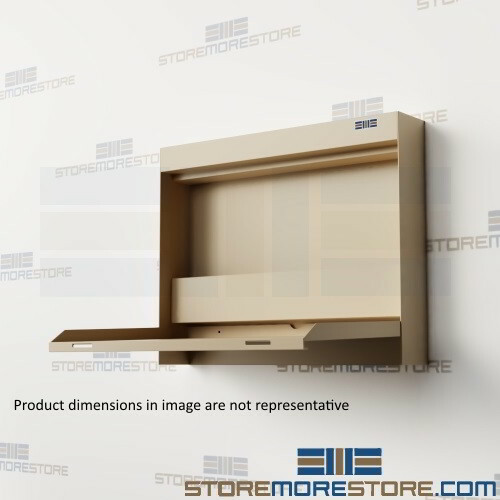 The wall-mounted cabinets provide storage and efficient work space in one solution. Users can store office supplies, files and charts, MSDSbinders, tools, and more. The flip-down door also provides a convenient surface for writing or placing laptops on. 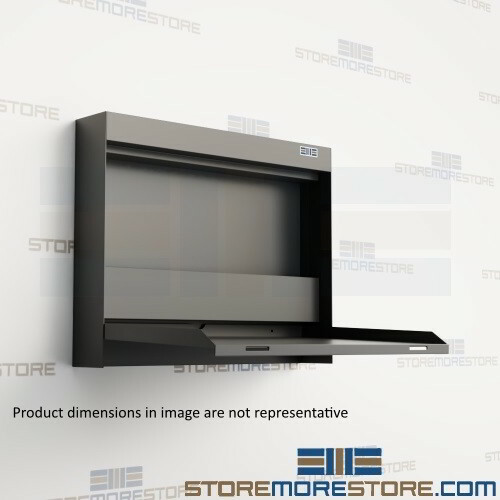 Indicated models include a locking door for secure use in HIPAA-compliant applications such as patient record, pharmaceutical, or medical supply storage. Construction: Made of 20-gauge cold rolled steel body with an 18-gauge steel door. 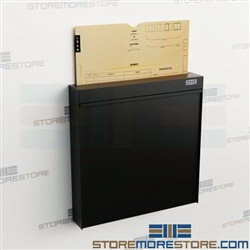 Premium wall-mounted steel cabinet with durable powder coat finish. Doors: Doors have two recessed magnets to keep it in a closed position when shut. Locks: Cabinets are available with key locks, double key locks (on drug units), or without locks. Optional self-closing door mechanism available where indicated. 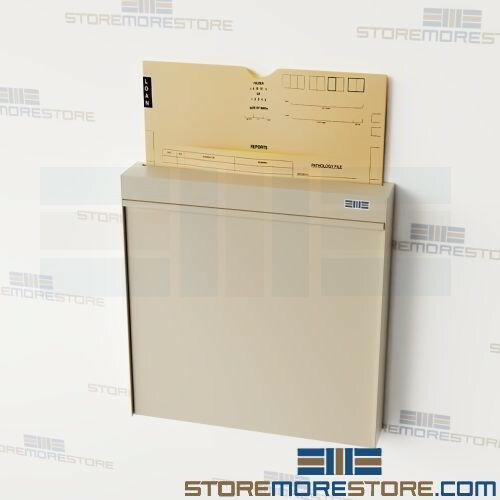 Accessories: Chart holders, white boards, laminate panels, and locks available on indicated models. Weight Capacity: Flip-down doors provide a writing surface that holds 50 lbs. of evenly distributed weight. Finish: Powder coated finish available in a variety of colors. Warranty: Manufacturer's limited lifetime product warranty.